studies on Eckhart, bibliographies, historical and cultural background. 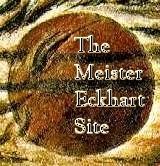 This is a comprehensive coverage of web resources on Meister Eckhart. Feel free to suggest more or send comments and reviews.